ATHENS: Dozens of asylum seekers occupied the main railway station in Athens on Friday in a burgeoning protest demanding access to the border and passage to other EU states. The protest has shut down Larissis Station, the main hub connecting Athens to the north, and unfolded hours after a similar move at the migrant camp of Diavata near Thessaloniki, where clashes erupted. Authorities said the Athens demonstration was sparked by anonymous calls on social media over recent days, telling asylum seekers that human rights groups will assist them in crossing into North Macedonia and on to other EU states. Both the government and the UN refugee agency have stressed that no such possibility exists. In Athens, the migrants shouted “Saloniki” (Thessaloniki) and “Germany”, an AFP reporter at the station said. At the Diavata camp, skirmishes broke out between migrants and riot police on Thursday and Friday, with the security forces making sporadic use of tear gas. A senior migration ministry official said on Friday the demonstration was intended as a “message” to the European Union. 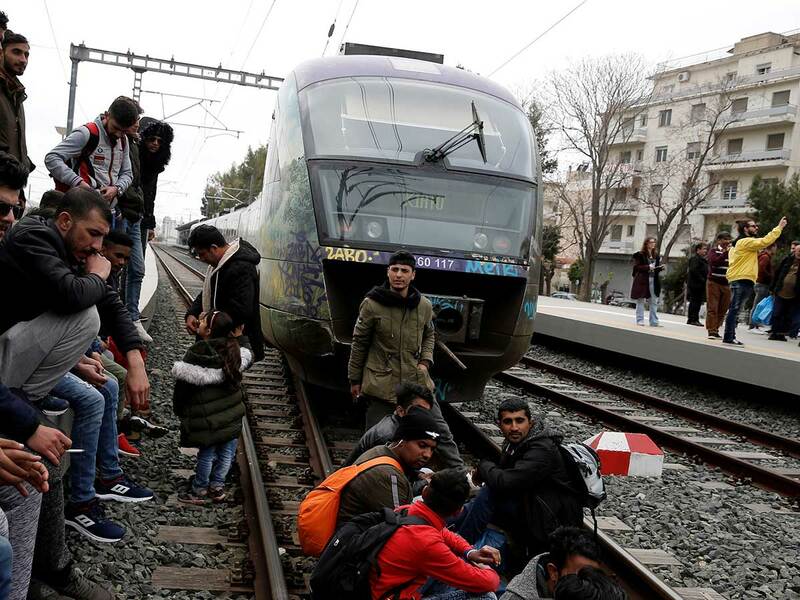 “It’s a message that Europe must understand that this is a problem demanding a European solution,” Miltiadis Klapas, general secretary of the migration ministry, told reporters at the station. “But it cannot be imposed like this,” he added, referring to the station shutdown. More than 70,000 refugees and migrants are believed to live in Greece in the wake of a mass influx beginning in 2015, mainly fuelled by the Syrian civil war. The improvised camp was eventually cleared by Greek authorities and the migrants and refugees were relocated to organised facilities around the country.